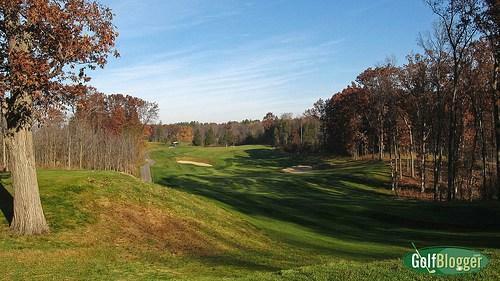 Here’s an updated list of the 160 Michigan courses I have played and reviewed. In addition to the Michigan golf course reviews, a list of courses I have played and reviewed elsewhere is at the bottom of the page. These include courses in Illinois, Texas, South Carolina, Ohio, Florida, Wisconsin, Indiana, Iowa, Maryland, New York, California, the Bahamas and Morocco. GolfBlogger’s Michigan Golf Course Reviews are based on my impressions of the course on the day(s) I played, and it should be noted that conditions and on occasion even the layout may have changed since I played. If you think that an update is needed, please leave a comment. I’d appreciate it. I just can’t possibly keep circling back to the various courses to update the Michigan golf course reviews. All of the Michigan Golf Course Reviews are from the perspective of a bogey golfer, and I place a premium on fun. I love courses that make you think a bit, and that don’t rely solely on length for their defense. Also important to me is the ability to walk the course. I have found few courses where walking really was not practical. Too often, I believe, courses ban walking to pick up extra profits from the carts. Finally, I look for value. A course that sets a high bar by claiming “championship” status and charging a premium price had better be very good. A course that offers good golf at a bargain price gets good marks for meeting or exceeding their own standards. The post, Michigan Golf Course Reviews first appeared on GolfBlogger and is updated each time a new course is added to the list. This site is turning into a very good guide to Michigan courses. You have played a great many of the ones that make the Magazines’ “Top 10” lists and I appreciate the ordinary golfer perspective.